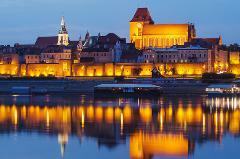 Visit the cities of Kracow, Wroclaw, Wieliczka, Zakopane, Auschwitz and more. Raft down the scenic river of Dunajec, Tour medieval forts and castles. Explore the wonders of Poland - past and present. CLICK "BOOK NOW" FOR DETAILS. First Wroclaw touring, then Polish pottery shopping, in the very town in which it is made - Boleslawiec. Thousands of hand painted patterns to choose from. Tour the factory! Jelenia Gora and Prague next/ CLICK "BOOK NOW" FOR DETAILS. Only 14 days tour and so much to see! Visit Castles and Palaces of Poland, sail the lakes of Mazuria. 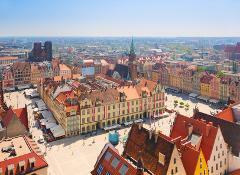 Visit the birth place of famous astronomer Nikolaus Copernicus, watch a sunset in Gdansk and more! CLICK "BOOK NOW" FOR DETAILS! 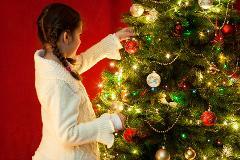 Experience Polish Christmas traditions. Shop the Krakow’s Christmas bazaar. Visit the Tatra Mountains and go for “Kulig”-( horse drawn sleigh ride)/ MUST MAKE A DEPOSIT BY END OF JULY. Click “BOOK NOW” for full itinerary.